This morning I had an interesting Swami dream. I was in a large room, there was a husband and a wife in the room, they were Sai devotees. The wife was trying to get the husband to be more responsive and concerned about her. She told the husband that she planned to travel to a specific place in the hopes that this would evoke some kind of interest. The husband responded very lackadaisically and remarked dryly, you always try to find something to get my attention. Suddenly our Lord Sai appeared. He was in His motorized chair and, we all stood at attention with our palms folded in love and respect. Swami addressed the wife very lovingly and also spoke to the husband giving them sweet advice and counsel. I don't recall verbatim what He said, but it was done with such love and tenderness. 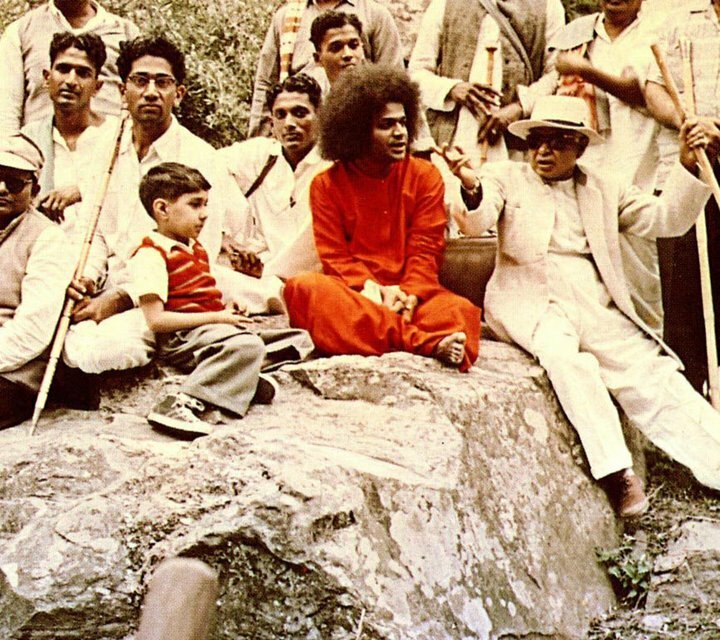 There were other devotees there and the numbers seemed to increase as we all walked outside with Baba. I was right by His motorized chair, simply thrilled to be so near. Baba had the wife sitting in His chair as He drove it down the walkway. He comforted her and I couldn't help thinking how amazing it was for Him to give this one ordinary person so much loving attention. At one point I stopped and turned to the right, there was a group of people surrounding this other divine personage. I was surprised to see that the being looked exactly like the Varuna I was currently painting. I did pranams to Varuna then continued walking alongside Swami's chair as it rolled down the path. shame but to demonstrate to us by example how we should treat one another: with love, respect and caring just the way He has loved us all.